I am giving my first steps in data analysis, gathering/cleaning. To learn, I am trying to create a simple code that can detect heartbeats from color variations from the image coming from the camera on the iPhone. I have created a code that detects faces and cuts them from the image. then I get the average color from that face image. 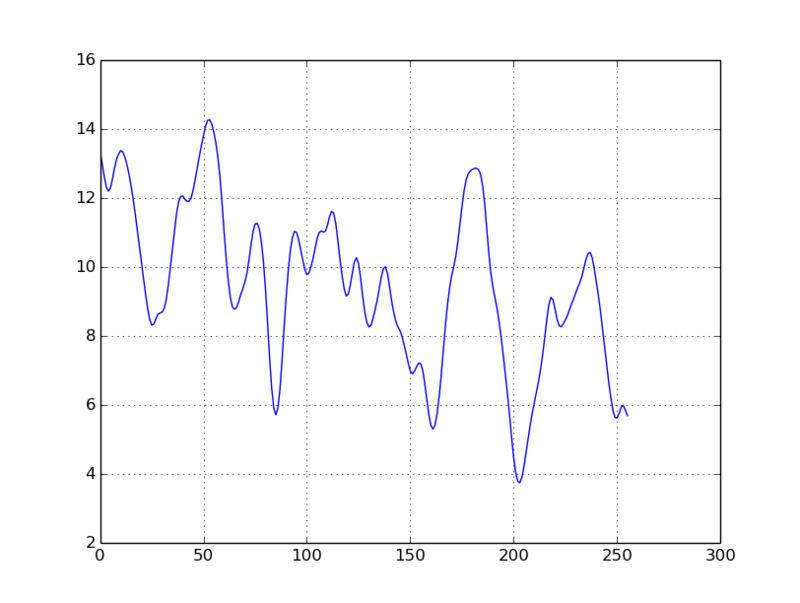 Because the values are grabbed at irregular time intervals, I interpolate the data. Now I have a series of values "taken" at regular intervals. I think I am seeing something that looks like heartbeats there. To confirm that I am not seeing artifacts from the camera, I sample a rectangle from the background and I get the same color with very little random variation. The background color is stable and shows barely any variation. The DCT has negative vales. The two first items of the DCT are peaks, at t=0 and t=0.10482311 seconds. I am not sure if I see a heartbeat there. I mean, the peaks where the beats start. I have to argue a little bit with your rate expectations. I think at that point you are in the emergency room. I believe 50-70 bpm is considered ideal. Which is right around 1 Hz. Since your frame is 8.5 seconds long, we are looking for a frequency around 8 to 9 cycles per frame, which corresponds to bins 8 and 9 on a DFT. 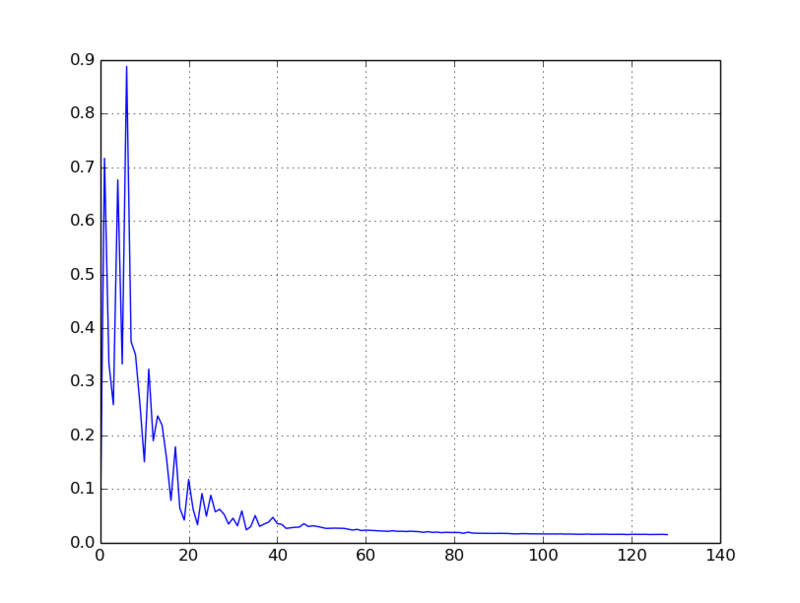 (Note: That would be 9 an 10 in MATLAB). The crest to crest distance on some of the smaller waves in the center is about 20 samples, corresponding to ~2 Hz, or 120 bpm, which is a bit fast. There are strong peaks at 4 and 6, but those are too low. The peak at 20 is too fast. Without knowing the actual rate you are looking for, it is difficult for me to say this represents a clean pulse signal. Not the answer you're looking for? Browse other questions tagged filters discrete-signals fourier-transform dct or ask your own question. Which filter to use for data with high amount of errors? What is the maximum value that can result from a 2D DCT?